Nothing is as comical (maybe even entertaining) as a government appointee committing a national blunder on national television, it becomes the material of viral skits to the comedy industry for months. The “Oga at the top” episode of a few years ago has become a matter of innocuous comedy, still drawing laughter any day and won’t be forgotten in years to come. Intentionally misinforming the public for political gains, however, is a totally different ball game altogether. It is uncharitable because it was created to discredit the accused and capable of spreading bad blood in an already fragile political terrain across the nation; which can be attributed to giving a dog a bad name to hang it. 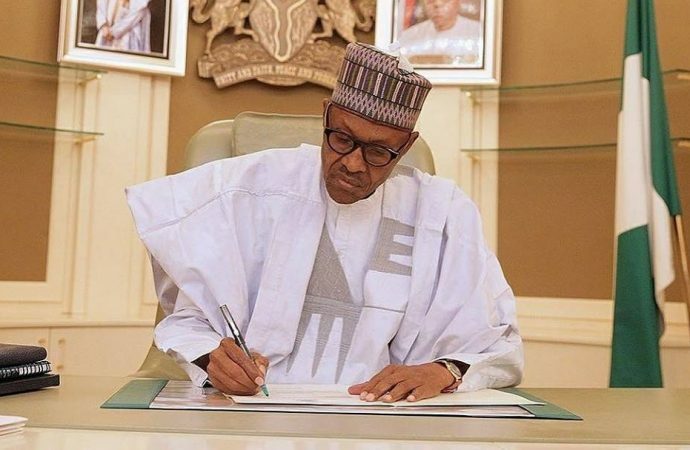 Barely hours after Nigerians, young and old alike, commended President Muhammadu Buhari for doing the right thing in signing the "Not Too To Run Bill" into law, the opposition People's Democratic Party, PDP, has embarked on a fake news drive by claiming the president said the youth should not contest the Presidency in the 2019 general elections. Why the PDP had to resort to the ignoble fake news strategy again to drive its message home is not only in bad taste, it's astonishing and alarming they could do it in the open. In the “Not Too Young To Run” bill assent speech where President Buhari commended the youth for their doggedness and encouraged them to leave their mark in the political terrain as they had earlier done with their contributions to technology, sports, and entrepreneurship, the opposition party decided to embark on a mischievous trip by saying the president asked the youth not to contest in the 2019 elections. Ofcourse, this was nothing but false. The ascent to the “Not Too Young To Run” bill which took place at the Council of State section of the Presidential Villa, Abuja on the 31st of May 2018. The section of speech the PDP drew its mischievous mission could be found where President Buhari said, "But please, can I ask you to postpone your campaigns till after the 2019 elections..." That rather harmless comical comment drew nothing but laughter and applause from the youths and government officials present at the epochal signing of the "Not Too Young To Run" bill into law. There was neither rancor nor subdued protests following the remark. This feeble attempt at mischief by the PDP to whip national outrage from President Buhari's harmless statement is rather disgraceful. Contrary to the message the opposition party is promoting, President Buhari did not at any point in his address suspend the "Not Too Young To Run" law, he did not make any unlawful statement anywhere in his address. (The President's "Not Too Young To Run" assent video can be viewed here: https://www.youtube.com/watch?v=H3X0mIqqMO8). President Buhari did his duty of asserting the law with praise and encouragement for the youth in the "Not Too Young To Run" address. This rabid attack is nothing but another figment of the PDP's imagination and this mud won't stick because President Buhari did not threaten or stop anyone, young or old, from exercising their franchise of contesting in the 2019 general elections. Too bad fake news merchants don't understand what they are doing is counter-productive. Their attempt does nothing but gives the accused another opportunity to clear his name and return the embarrassment in double-fold portions on the accuser. If they haven't learned any lessons from the episodes of fake news peddling of 2015, it's virtually too late to save them from another embarrassment in the forthcoming 2019 elections.